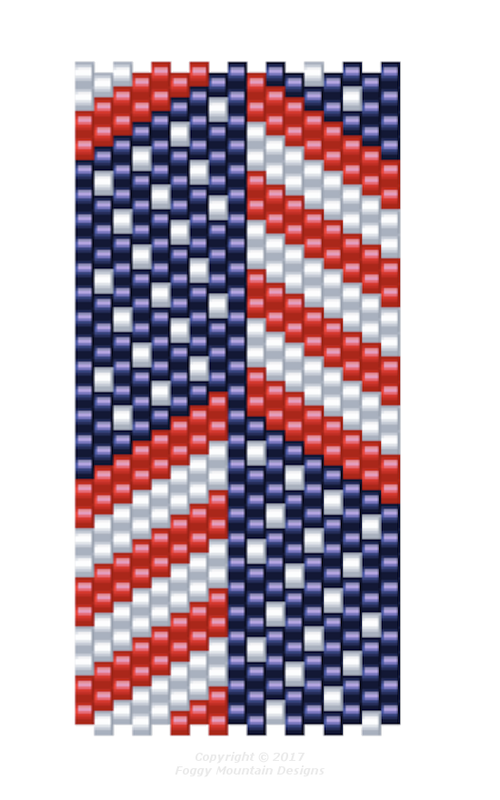 We’re going to do some red, white and blue for Free Pattern Fridays since Independence Day will be here soon. This is a repeating odd-count peyote pattern, 17 columns wide, and only takes 3 colors. Click the image to enlarge and right-click to save to your hard drive. When you get to the bottom, start back at the top and work until the desired length. Your choice of clasp. Have a safe holiday and Happy Beading! A crabby, er... crafty, old lady in the Blue Ridge foothills.